The 'transparency' investigation may focus on offshore rebates. But will the US body find anything? The US media industry is wondering just what is the smoking gun that advertisers think they will find as a result of their "transparency" investigation into media agencies. The Association of National Advertisers says it wants to examine "rebates, barter, arbitrage, dark pools, inventory management, global transactions and supply chain media management". But the main focus is likely to be rebates – payments or kickbacks that are received by agencies from media owners, with or without the knowledge of the client, in return for a certain amount of media spend. And industry insiders suspect a particular problem is offshore rebates. That is when a payment might be made in an overseas jurisdiction instead of the country where the media buying deal took place. Rebates, offshore or onshore, are a bigger deal in the US because it is meant to be a "no rebates" market. Havas Media found itself in the spotlight earlier this year when its US arm sent the template of a contract to two US tech companies that apparently required them to pay "planning services" fees to a Spanish division of Havas, based on the amount of business that Havas did with them. Havas said the proposed payment had "nothing to do with rebates" but admitted the contract could have been worded in a better way. The ANA will look beyond the US because it wants "a better understanding of cross-border affiliations on transparency". However, a spokesman said it is too early to discuss offshore rebates: "We cannot say that it’s a particular problem potentially, but we would expect our fact-finding to help determine if this is an issue or not." The ANA’s decision to hire the forensic corporate investigation company K2 Intelligence and the media auditor Ebiquity is seen as a statement of intent. "Given the scale of the country and the hundreds of billions of dollars’ worth of transactions, if they look hard enough they’ll find something," one leading US-based media buyer predicts. "Are there any smoking guns? We don’t know. But this is an aggressive move by the ANA and it’s a big deal." Part of the reason rebates have caused such a fuss in the US is that many advertisers were ignorant of the practice until recently. Analysts at Citi-group point to a 2012 ANA survey of its members, which found that 51 per cent were "not aware" of media rebates. Some think the probe has the potential to uncover a major scandal, especially if a company is found to have been seeking payments offshore for work in the US. "Let’s be clear – offshore rebates is an issue," one media figure in Europe says, comparing it to Volkswagen’s rigging of its emissions software. "Most companies have been changing their rebate deals. If they haven’t, they are stupid." Ian Whittaker, an analyst at the investment bank Liberum, warns that "some advertisers might be tempted to sue agencies for perceived past practices" but notes that the agencies say they have done nothing inappropriate. It could be difficult to demonstrate payments were wrong in an age when multinational media deals and complex money transfers are the norm. As Bob Wootton, the director of media and advertising at ISBA, says: "The bodies can be very, very efficiently buried indeed." Rebates are common in the UK and Germany but are banned in France under the Loi Sapin. Brazil allows rebates but forbids them from being passed back to advertising clients. Yet, even if most people say they know about rebates, routing any payment offshore is hardly the sign of a healthy market as it raises questions about transparency and tax avoidance. "Offshoring" began more than a decade ago as clients became increasingly global and accelerated with the rise of Google, Facebook and other tech giants. These companies legally book most of their non-US sales in low-tax jurisdictions such as Ireland, the Netherlands and the Caribbean to minimise tax. About 80 per cent of Google and Facebook’s sales in the UK take place offshore, according to industry estimates. They have also been known to pay rebates. Google used to call such payments Best Practice Funding to encourage the nascent online market. 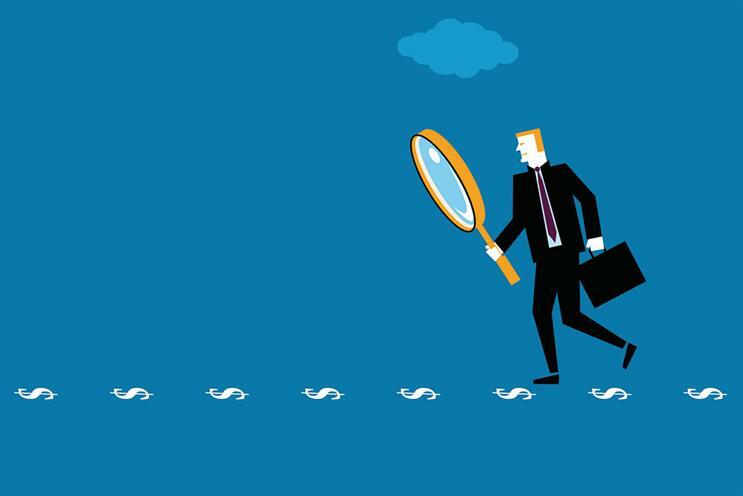 There is nothing wrong with rebates in principle, but some say it’s now a problem because clients have squeezed agencies’ margins, forcing them to extract cash from media owners in less-than-transparent ways. Wootton talks about a wider culture of incremental commissions, price mark-ups and "non-existent consulting" fees. Sir Martin Sorrell, the chief executive of WPP, won’t comment directly on rebates but agrees with calls for greater transparency. He claims that other agency groups should follow his company’s lead by reporting net sales as well as revenue because the latter includes some of the clients’ "pass-through" costs and expenses that aren’t fees. "The best way of the ANA ensuring full transparency is to insist the other agency holding companies do what we do – that they should report a consolidated billings figure, a consolidated revenue figure and a net sales figure," Sorrell says. "We’re the only people that do it." WPP is compliant with the US Sarbanes-Oxley Act on financial disclosure while some rivals are not, he adds. But some think the ANA’s inquiry is overblown. "When you buy a chicken in the supermarket, you don’t ask the price that the supermarket paid its supplier for the chicken," one agency leader argues. "If you’re the customer and you got the chicken for a good price, you’re happy." Another source recalls the Office of Fair Trading’s 2011 investigation into the UK outdoor industry, which found nothing and concluded that it was a case of "buyer beware" when it came to understanding share deals and rebates. "Advertisers could do more to ensure that they get a good deal," the OFT said. The ANA’s language suggests it does not believe the onus should only be on advertisers. That 2012 survey of its members found that 85 per cent believed "agencies should not keep rebate" and should "remit all of it to clients". The new mantra should be: seller beware. Has VW's brand heritage just gone up in smoke?